Cardiff Beauty Blogger - Sindyydoll ♥ Makeup - Welsh beauty blogger - British Beauty Blogger: Pixi holiday collection mini review! I was so excited to see what Petra and the gang could conjure up this Christmas and I was thrilled they brought out a mixture of things to mix and match from. For me the most striking items from the collection were the eyeliner and lipgloss set, I have many many manyyy Pixi glosses and seeing they have a new formula for these I had to pick one up, as well as their iridescent iris endless silky eye pen, which I'm never disappointed by as all the colours I've got from the endless silly eye pen line have stayed put all day. 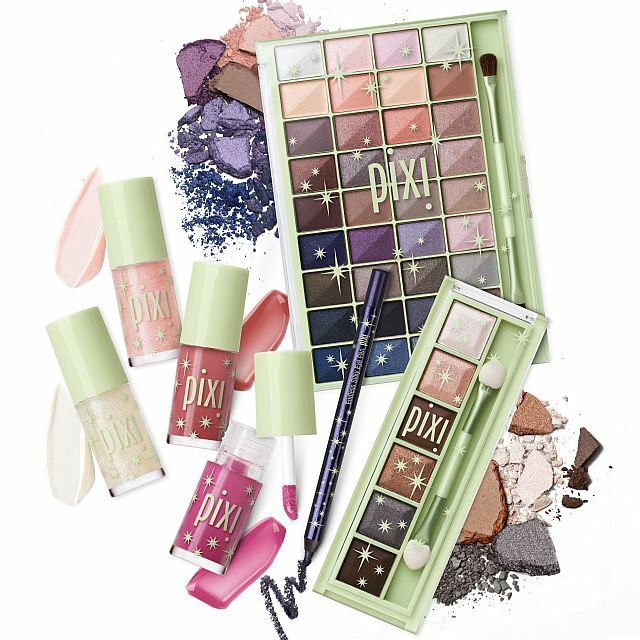 I just bought the Pixi Eye Glow Cube, and to be honest I do love the colours in the larger pallet but it would just be greedy if i bought it as I have barely used the Eye Glow Cube. Review to follow for the lipglosses and eye pencil!